Swanky Digs: Damn that's a nice dresser. Damn that's a nice dresser. As much as I love this wallpaper, I feel like it's maybe becoming a little over-used. 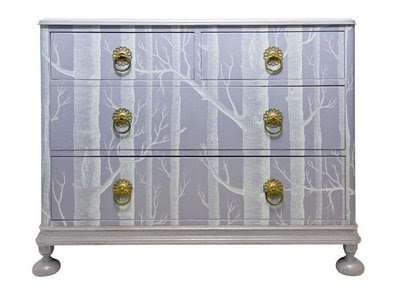 Having said that, I can't help but fall completely in love with how it looks on this dresser! I guess it's called Ace for a reason.